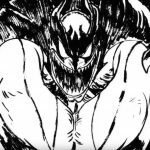 It’s finally time for another look at Devilman crybaby, which gives renowned director Masaaki Yuasa (Mind Game, Ping Pong the Animation) a shot at Go Nagai’s classic manga. The official website went up with some new content ahead of the anime’s January 5, 2018 debut, including a new promo, visual, theme song info, and cast update. 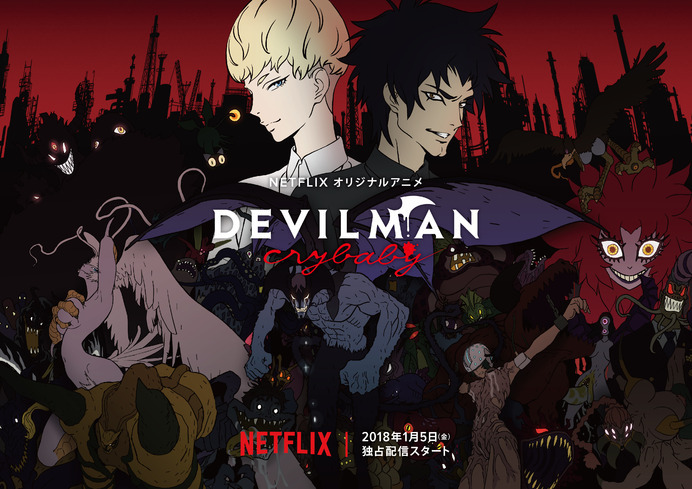 First up, new cast members include Megumi Han as Miki Makimura, Ami Koshimizu as Miko, Atsuko Tanaka as Sirene, Rikiya Koyama as Kaim, Kenjiro Tsuda as Nagasaki, YOUNG DAIS as Kukun, Subaru Kimura as Gabi, KEN THE 390 as Wamu, Hannya as Babo, and AFRA as Hie. There will also be a special ending theme for episode nine called “Konya Dake” (“Tonight Only”) by Takkyuu to Tabibito.